A classic Alexander Pushkin fairy tale ridiculing a priest was reprinted by Krasnodar region church officials in a Tsarist-era censored version that replaces the clergyman with a merchant. The idea was pitched by Russian Orthodox priest Pavel Kalinin from the local town of Armavir, who has obtained an old censored edition of the tale, the regional news web site 93.ru reported Monday. The book, which has print run of some 3,000 copies, was blessed by the region's bishop and recommended for use in Sunday schools, the report said. The rhymed story, a staple of Russian children's literature, is called "The Tale of the Priest and of His Workman Balda" and tells of a niggardly priest who hires a man ready to work for the price of three blows to the employer's head. Later realizing how strong the worker is, the priest gives him difficult tasks to accomplish, but Balda fulfills them all and punishes the employer by making him lose his mind from the blows. The censored story, which delivers a moral lesson about greed instead of satirizing the clergy, better highlights Pushkin's original intent, the publisher was quoted as saying. But a dean of the Armavir church behind the project said the censored version is better because it has no "godless mockery of the clergy." 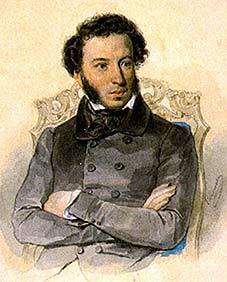 The tale was not published during Pushkin's lifetime, and the first publisher, poet Vasily Zhukovsky, opted in 1840 to replace priest with merchant to spare Pushkin's heirs problems with the authorities. The uncensored version was not published until 1882.